Introduction: We aimed to assess the hospital experience and body image – cosmesis after laparoscopic or open conventional splenectomy. 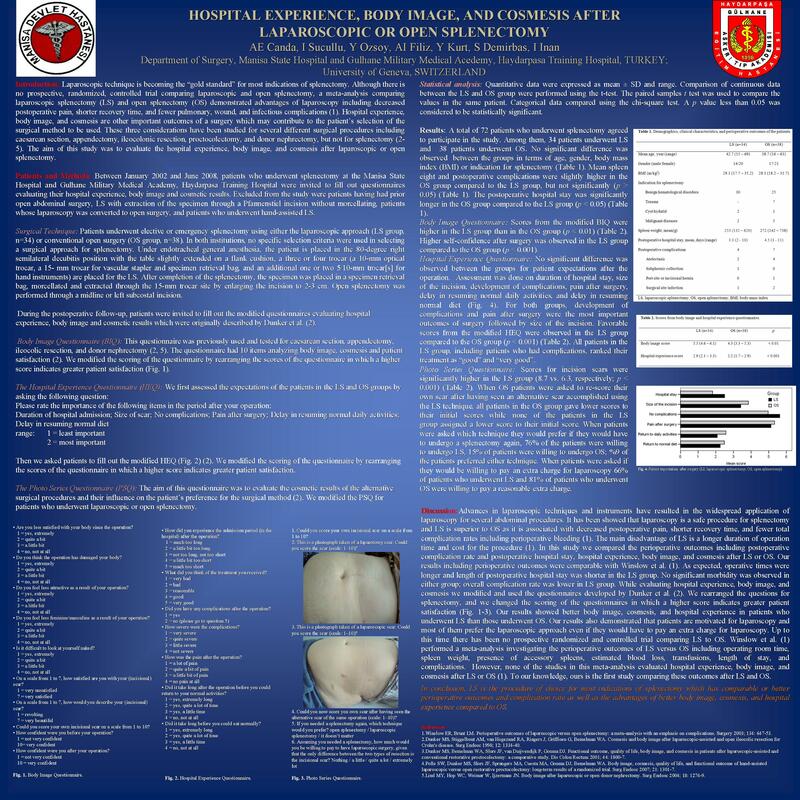 Methods and procedures: Patients who underwent splenectomy were invited to fill out the questionnaires evaluating hospital experience, body image and cosmetic results. Student’s t-test, paired samples t-test and ki-square test were used for statistical analaysis.